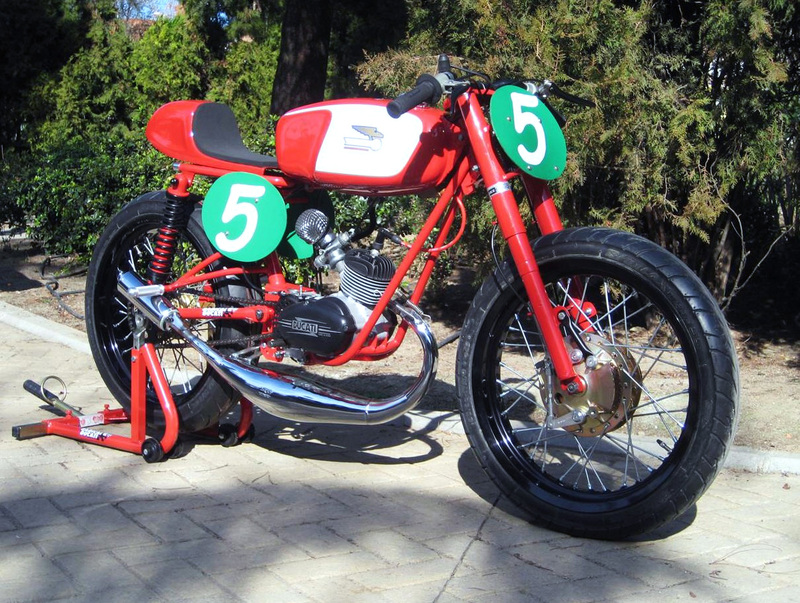 Formula Supervee driver Marc Crocetti sent me some photo’s of his 1971 Triumph T100 R that he turned into a Redbull Cafe Racer. He purchased it a year ago from a friend who had the Triumph in numerous boxes and hadn’t been ridden for about 12 years, prior to that it was used as a dirt bike for 15 years. It seemed like a big project but Marc had the vision to turn this bike into something special. 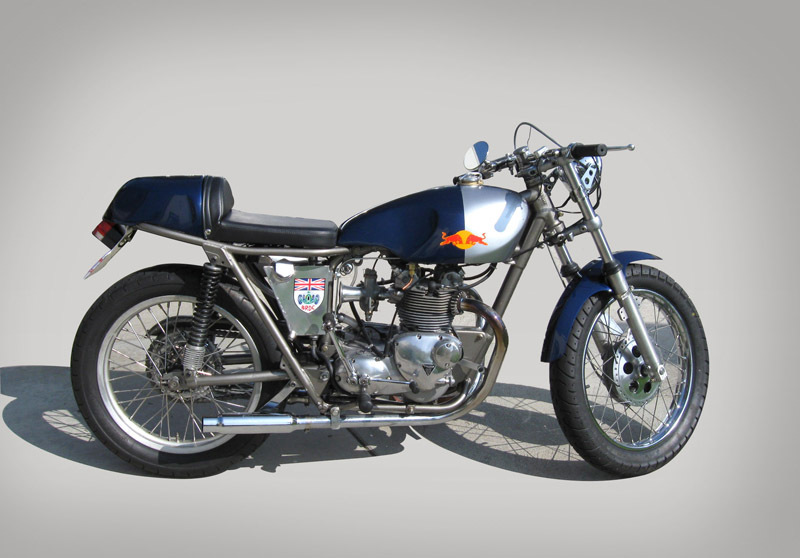 He started with a BSA starfire gas tank and extending it 4 inches, then he added a Ducati style seat that he widened 2.5 inches at the front to fit the Triumph frame. 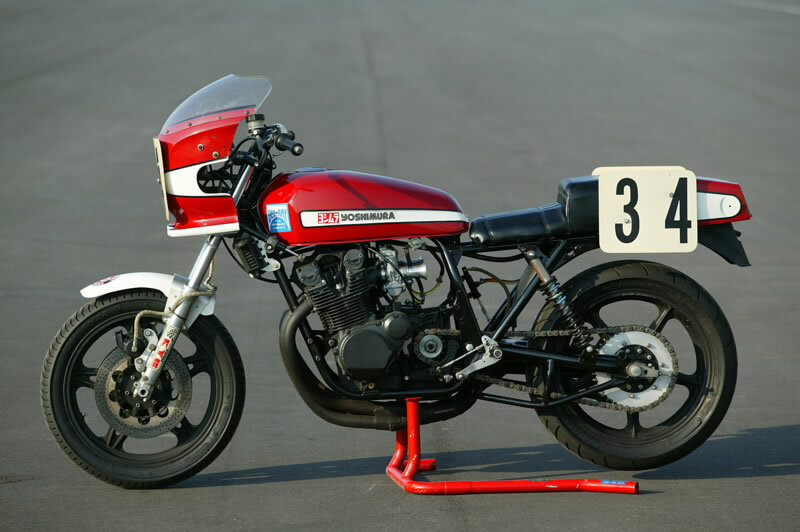 It also has Ceriani front forks that were lowered 2.5 inches, a Honda 450 front wheel that he drilled out for better brake cooling and a fiberglass front fender that looks very Dunstall in style. Then he rebuilt the engine, the head, the transmission, clutch and primary drive. Marc even did the Red Bull paint job himself, inspired by his love of motorsport (we bet he consumed a can or two working late in his garage as well). 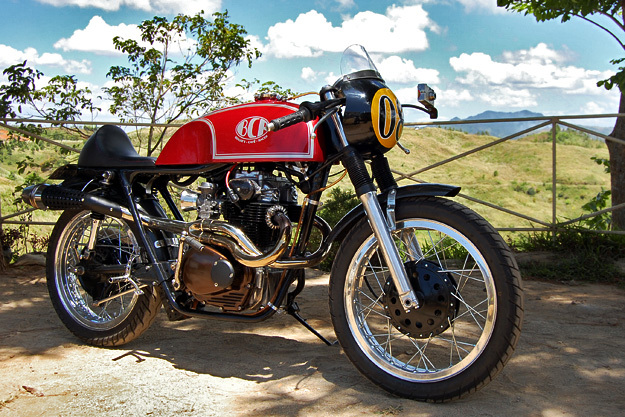 By the looks of it we think this Red Bull Triumph will really give you wings. 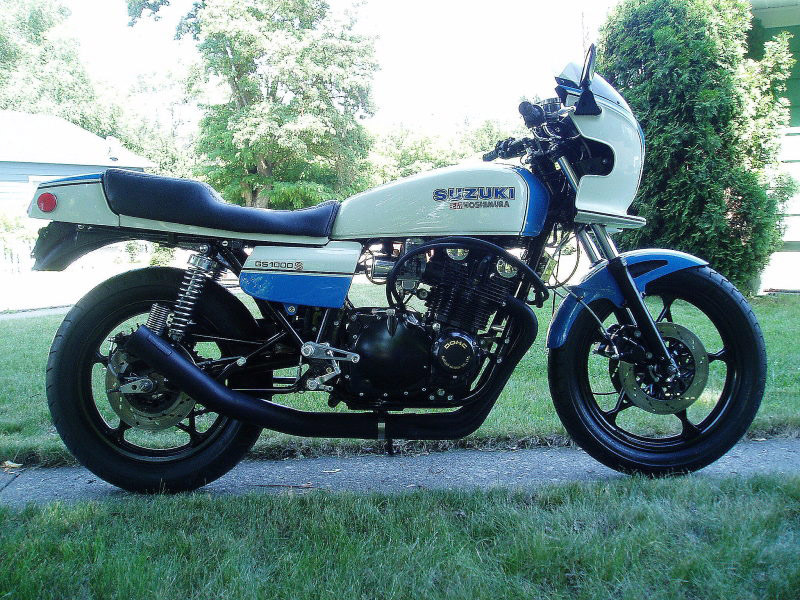 We recently received a message from one of our readers saying we had never featured any bikes from Benjie’s Café Racer (BCR) and at first I thought he was wrong, until I did a search. Well, you are damn right and it’s about time we did. Benjie Flipprboi is one hell of a bike builder and we can’t believe this is the first Café Racer we have featured from him. 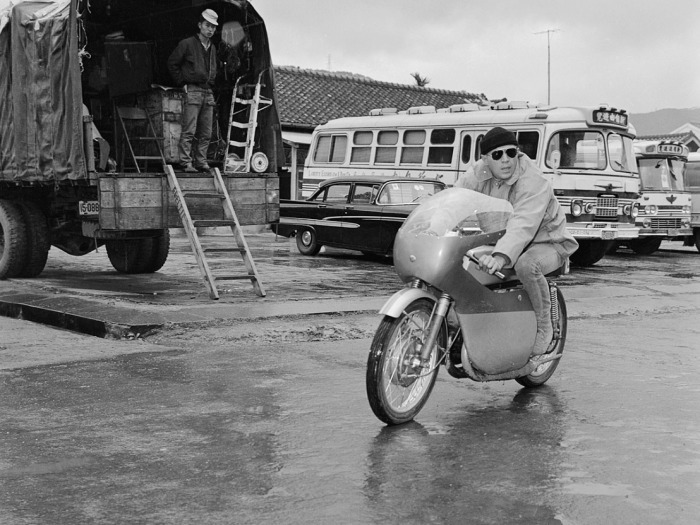 The pictured bike is a 1969 Honda CB350 named ‘El Poquito’ (the little one). 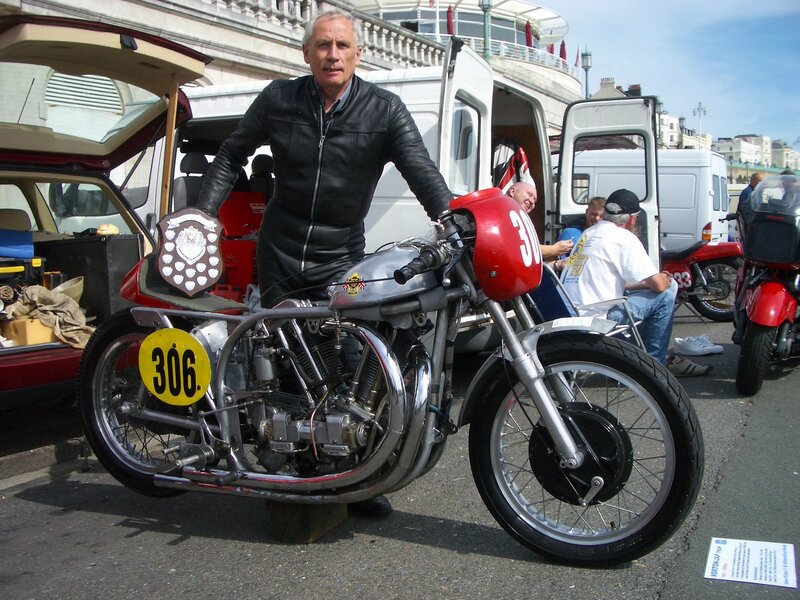 Benjie created virtually everything on the bike including the the gas tank, seat, stainless steel clip-ons and rear sets, plus most of the remaining parts of the bike are all hand fabricated. MC Collection is a museum in Stockholm Sweden showing an impressive collection of motorcycles from the 19th century until today. The exhibition represents the personal collections of Christer R Christensson and Ove Johansson. The theme for this year will be Harley-Davidson, possibly the best-known brand in the world of motorcycles. In the exhibition, they will present 20 amazing bikes from the most popular eras in HD’s history from the oldest example made in 1912 all the way to the latest model, a “V-rod” from 2008. One of our favourite bikes in the collection is this HD XR 1000 Racer by the guys at V-Twin Cycle Shop in NY (their website is still yet to launch). What a spectacular looking racer, would give my right hand to ride a few laps on that beast (might be hard with one hand though). If you do find yourself in downtown Stockholm then definitely check out this museum. 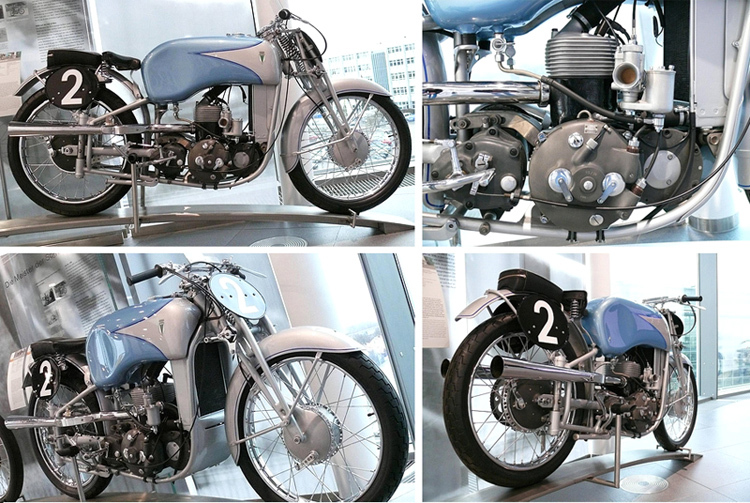 To see more of the motorcycles in the MC Collection visit the gallery. 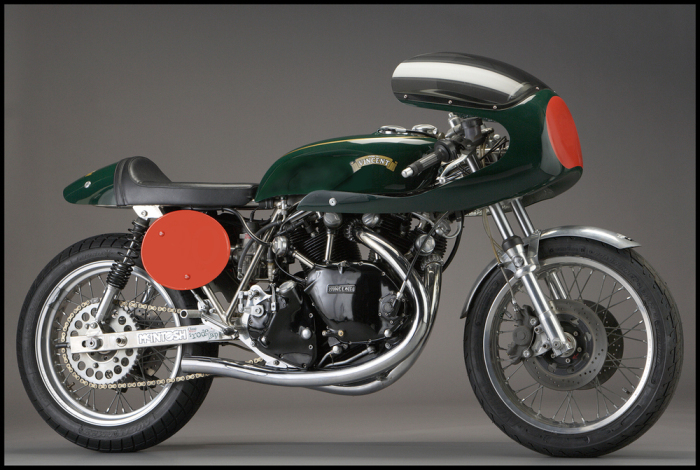 When i saw this Egli Vincent i fell to my knees and asked for forgiveness. Unfortunately only 100 Egli-Vincents were made between 1967 and 1972. Fritz Egli was a specialist frame manufacturer based in Switzerland. Egli-Vincents are now being built in France by Patrick Godet. With permission from Fritz Egli he is the sole manufacturer of new machines under the Egli name. 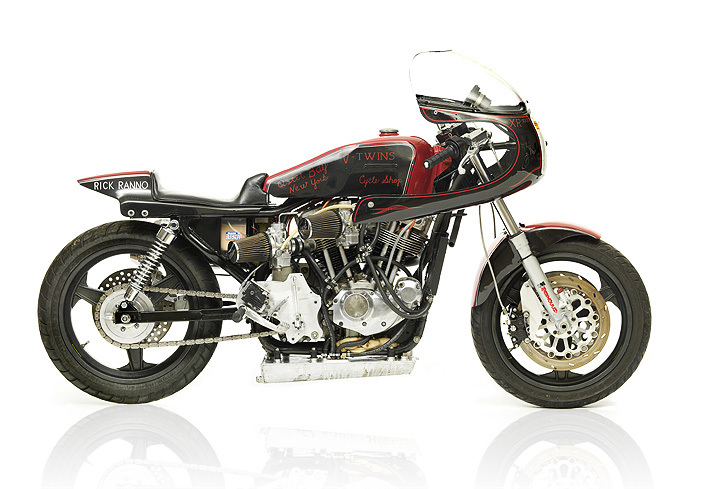 Check out Godet Motorcycles for a history lesson and more pics of his amazing handy work.